Formerly a military installation, Fort Ben, as it’s called, is now a state park and nature preserve. 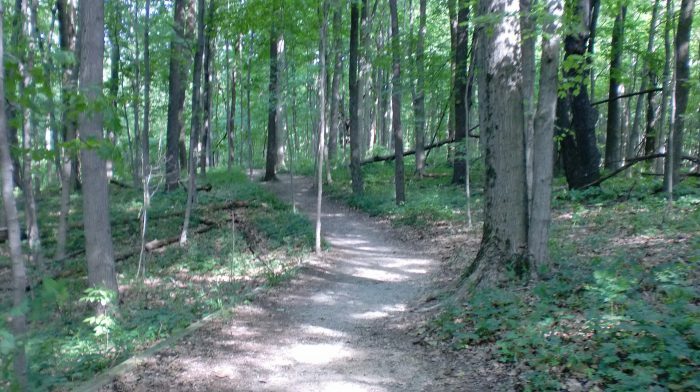 The park is located 14 miles northeast of downtown Indianapolis. The entrance is at the intersection of Post and 59th Street. There are several trails to choose from. None of the individual trails is more than three miles, but many of them connect so you can create your own. The loop around the Duck Pond is paved and has some good hills. The Fall Creek Trail is scenic and has a couple of very steep hills. The Lawrence Creek trail is a bit more friendly with its wide path and moderate terrain. 14 miles northeast of downtown. Entrance is at the intersection of Post and 59th Street.